I want that palette along with everything else you used as always!! Your great at what you do Shaann!! Take care. I saw this palette on Instagram yesterday and instantly went into 'seek and buy' mode ... It isn't available in Australia yet ! So instead I are my feelings, gingerbread you are my sanity. Where are these contacts lenses from? I think they look great on you! Why would Shan be copying her? Just bc she's wearing the same contacts that are free for ANYONE to buy? SMFH, get yourself some perspective. Stunning make-up! i love that lip colour on you. I'm a new follower of your blog and cant wait to read more from you! The contacts are from pinkyparadise.com I believe. Your eyes look amazing! My friend just purchased this it smells soo good! 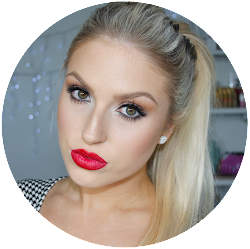 That is the most ahhhh-mazing lip colour! deffs one that i need to try! I am new to the blogging world - check out my blog?! Hey Shannon, what lighting and video camera do you use for your videos? My girlfriend is jnterested in making makeup tutorials and we need some guidance on what to bit. (It's a surprise)! Probably one of my favourite looks you've ever done! Lovely tutorial please do more looks with the chocolate bar palette!! Loved this make up look! Wow you´re so goddamn gorgeous and talented!! keep up the god work! Wow, I love this look!! Beautiful makeup. Hey, why did you stop blogging? Or do you have a new blog? Cheers! Wow your eyes! So beautiful. You have great blog. I follow you.